Classic Pro, STC-Shaped Guitar from Suhr in the Classic series. Suhr introduces the Pro version without Antiquing process of its Stratocaster-type Classic electric guitar. 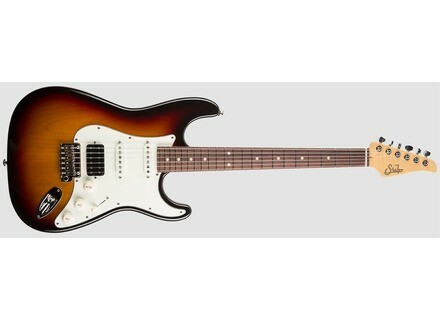 No information regarding the price of this new guitar, visit www.suhr.com for full details. Fender reproduces its first guitar pickups The Fender Custom Shop introduces the Blackguard Telecaster pickups for the fans of the very first Broadcaster tones. New Hermida and Lovepedal partnership Alfonso Hermida collaborated once again with Lovepedal to launch the Unimos Ruby overdrive stompbox for guitar. Squier Vintage Modified Baritone Jazzmaster Squier announces the availability of a new Baritone Jazzmaster in the Vintage Modified series, with a long-scale and A to A tuning.